First School is licensed for 18 students yet daily attendance is limited to 16 which prevents over-stimulation creating an environment conducive to learning. We provide service for children aged 2 1/2 to 6 years old in a mixed age class. Students are able to socialize while gaining viable life skills that transcends all academic subject areas. First School operates with three fully qualified staff at a 1:6 ratio. Our low class size and student to teacher ratio affords the opportunity for children to explore in age appropriate developmental areas, minimizing crowding. The classroom layout promotes a stress free, fun filled, learning atmosphere. First School encourages knowledge acquisition through a culmination of a play based, academic, structured, and nurturing environment. We foster autonomy while striving to guide as well as support children in the midst of discovery, creativity, and play. 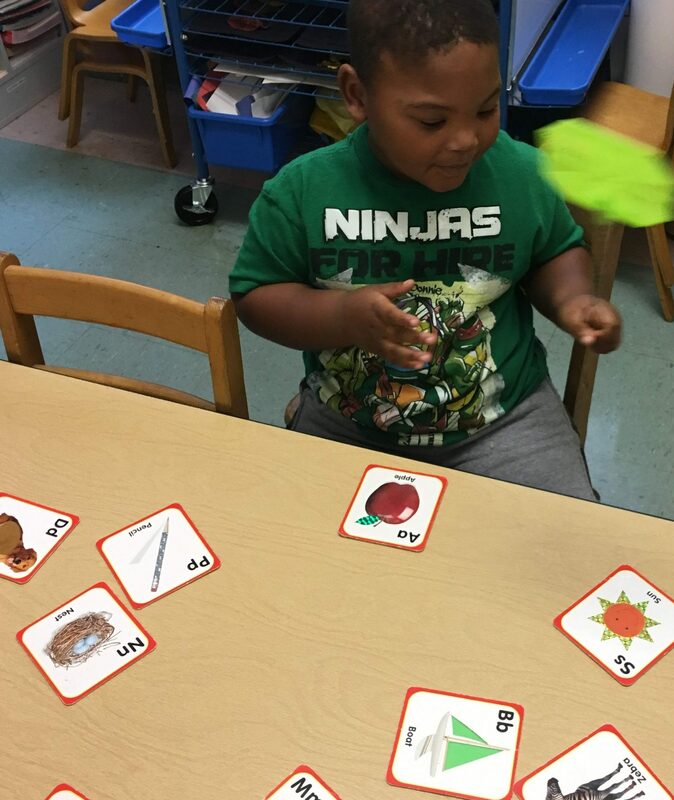 Teachers at First School work alongside children to impart Kindergarten readiness with socialization, weekly themed curriculum, enrichment, large group activities and small group activities with intended developmental learning outcomes. When conflicts occur, children at First School are taught to listen and converse with one another to exchange ideas for resolving the problem until they agree on a solution. Inappropriate behavior is clearly explained and positive behavior awareness is implemented in curriculum, reinforced through discussion, and addressed with parents. Redirection or natural consequences are assessed when necessary. No corporal punishment is permitted. First School aims to provide a safe, nurturing, and harmonious environment contributory to growth. Children are required to wash hands upon entering the class each day. Students are educated about germs and ways to stop the spread. Methods such as sneezing or coughing in the elbow and washing hands after using a tissue are reiterated. Per licensing regulation, children who have a fever, vomit, or have diarrhea must be excluded from school for 24 hours of initial symptoms. Details pertaining to First School’s health policy are included in the Parent Handbook provided with the Enrollment Agreement. Parents must notify First School if a child is absent due to illness, especially if it is a contagious communicable disease. Children not well enough to participate in activities should stay home, as those required with fever, vomiting, or diarrhea. Students may return to school after 24 hours symptom free. Prescription medication is given only from the original container and label in accordance with directions as prescribed by the student’s physician. Medication must include current date, child’s name, and be accompanied with a signed, and parent authorization also known as the Medicine Form. Non-prescription medication (including but not limited to: aspirin, cough drops, vitamin/minerals, supplements, antibiotic ointments, etc.) is given only with a physician’s prescription, product label directions, and Medicine Form. Copyright © 2019 First School. All Rights Reserved.